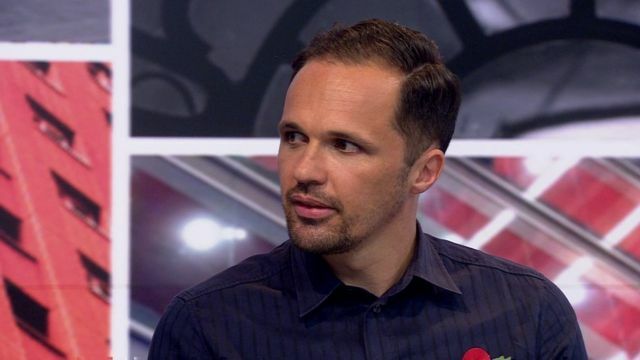 The Premier League star who gambled millions Jump to media player Former West Ham and Stoke footballer Matthew Etherington has given his first TV interview about his gambling addiction. Sportsmen 'more likely to be gamblers' Jump to media player A report produced by the Professional Players' Association estimates that 192 professional footballers and cricketers could have an issue with gambling. 'I was gambling whatever I could' Jump to media player Stoke City's Matthew Etherington reveals would gamble £40,000 a month - then turn to loan sharks when the money was gone. Gillespie explains his gambling addiction Jump to media player Former Northern Ireland international Keith Gillespie admits he once lost £47,000 in one day's gambling. Would blanket ban solve betting issues? Jump to media player BBC Late Kick Off North West investigates whether a blanket ban on players and club staff gambling on football would prevent more breaches of Football Association regulations. Why I wanted to kill myself - Aspinall Jump to media player Former Portsmouth star Warren Aspinall tells BBC Late Kick Off why and how he tried to kill himself because of gambling addiction. I lost £200,000 in a day - Hamann Jump to media player Former Liverpool, Manchester City and Germany midfielder Dietmar Hamann tells BBC Radio Manchester about the extent of his gambling addiction that plagued the end of his playing career. Former West Ham and Stoke footballer Matthew Etherington has given his first TV interview about his gambling addiction - a problem which affects many big stars in the sport. At one point during his career, Etherington was gambling away thousands of pounds a week - ending up in £1.5m of debt. Now retired from football, he says he has received calls from agents asking him if he would speak to players with gambling problems to offer advice. Matthew Etherington was speaking to Victoria Derbyshire - you can watch the full interview on the Victoria Derbyshire programme page.